I'm back today to share my DT project for the start of the new challenge over at Stamps and Stencils. 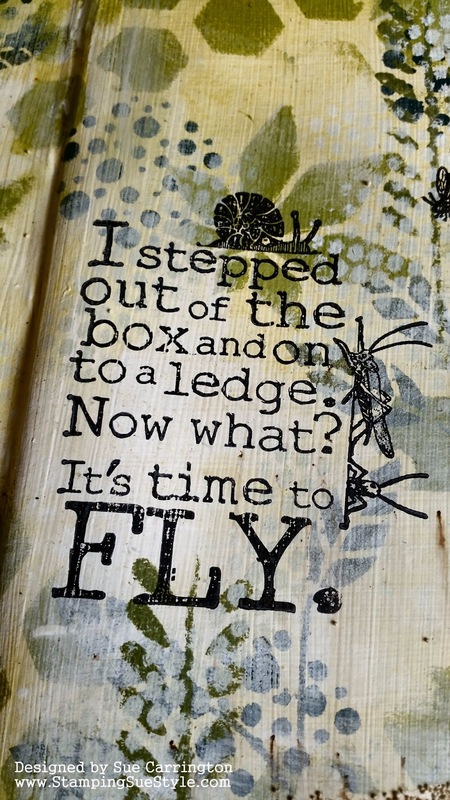 I'm the host for this challenge and I've chosen Time to take flight ! 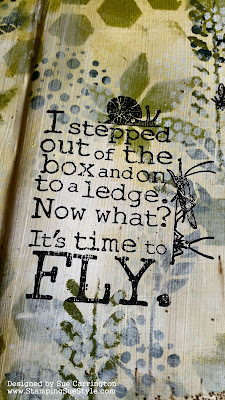 I would like to see anything relating to flying, so this could be a bird or a butterfly or it could be an inspirational quote that includes words relating to flying ! 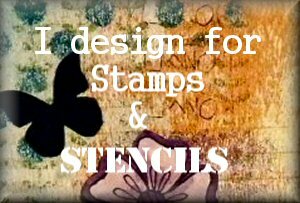 As always, please remember we are a mixed media challenge and you must include either stamping or stenciling or both ! I decided on a journal page and started with the usual base coat of Gesso. Then I started to stencil with Fresco Finish paints. Apologies for the lack of step x step photos by my rechargeable batteries for my camera have decided not to recharge so I had to take some hurried last minute shots with my mobile ! 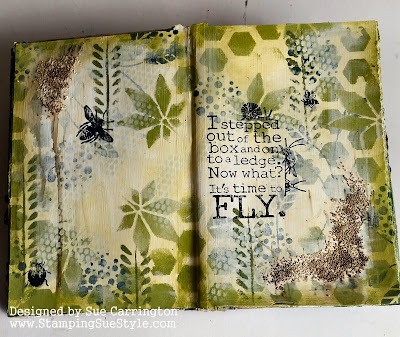 While having a sort out in my craft room I came across a set of Artistic Stamper stamps which included lots of insects so this is where the thought process began. I grabbed several shades of Fresco greens and started to stencil. I also used Marlin which is a wonderful deep blue for the dots, then knocked it back with some Snowflake Fresco Finish. This sentiment is one of my favourites and is by Yvonne Blair, I thought the little snail sat beautifully on the top and the grasshoppers sneeking a look around the side. I've really enjoyed using the Prima Mini Art Stones and I used the Sculpture Medium to glue them to the page. When they were dry I spinkled on some Infusions then spritzed them with water and let it run down the page. 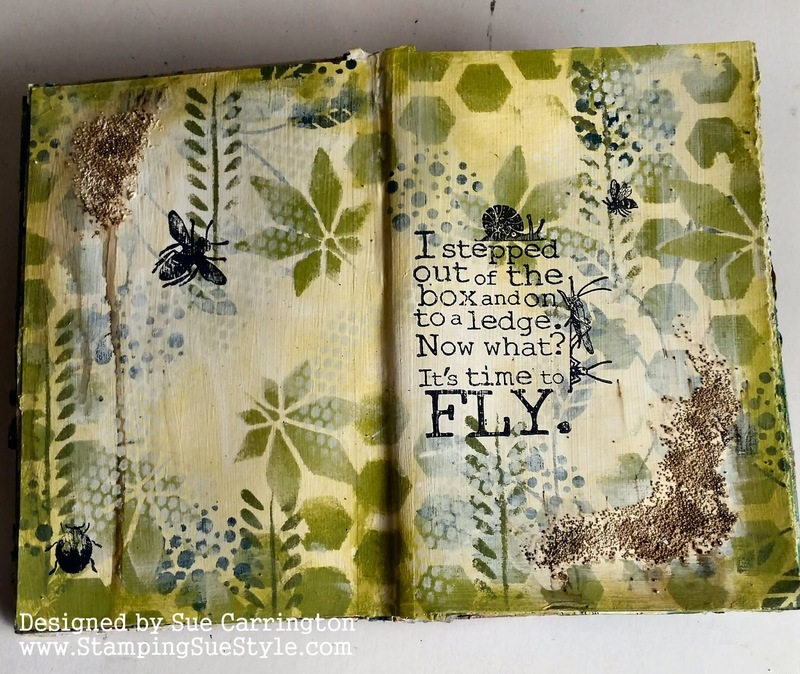 I stamped some of the insects from the Artistic Stamper set then framed the page with Zucchini Fresco Finish. 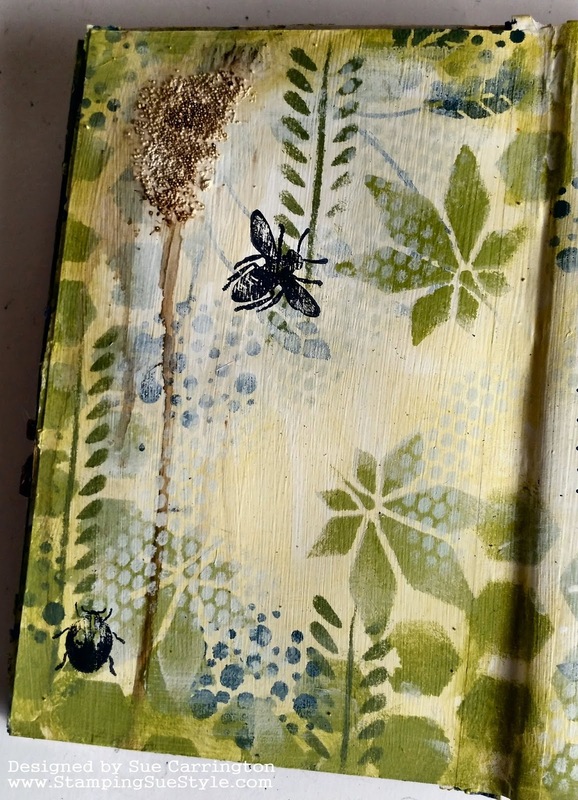 I love the ease at which a journal page comes together and no matter what you had in mind to begin with it always turns out differently, well for me it does ! 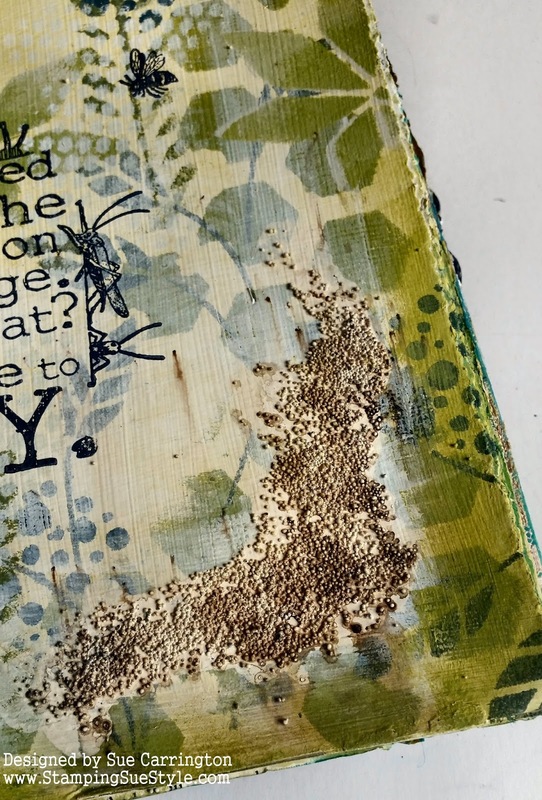 I hope you get chance to join us for this challenge and do make sure you hop over to Stamps and Stencils to see the rest of the DT's beautiful projects. Sue, your journal is the coolest thing. What I wouldn't give for a good flip through! Such a great sentiment for this challenge. 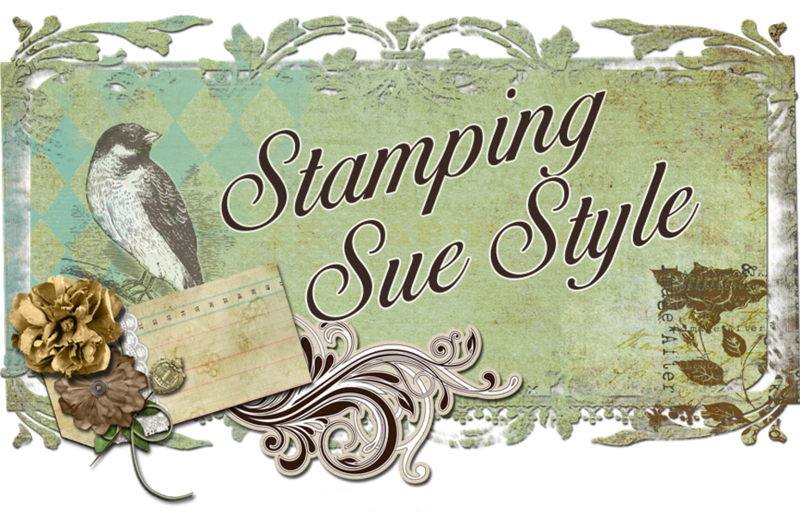 Oh, that is fabulous, Sue - love the rich natural colour palette and gorgeous stencilled layers.